Kings Valley gem on the mountain. Beautiful home with many updates on a rare mostly flat full acre in the Kings Valley community. Spacious, open floor plan with new windows throughout (10 year warranty included) to take in mountain beauty from every room. New carpet and fresh paint. New quartz countertops and upgraded kitchen appliances with plenty of cabinet storage. Elegant natural stone travertine tile on main floor. Private balcony off master bedroom for greeting the sunrise or laying down the day with the colors of the sunset. 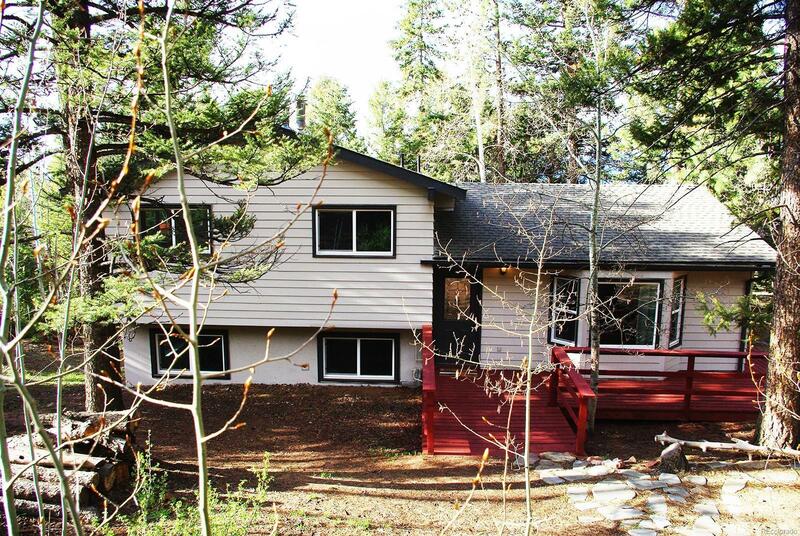 This mountain home sanctuary has easy access to Hwy 285 with restaurants, grocery stores, specialty shops and entertainment only a short 10 minute drive.